We have worked with Manchester based commercial property agency Edwards & Co for a number of years, creating marketing particulars for their team for a whole host of property instructions. With this particular project we were asked to create a new corporate website for the company which would not only be informative and memorable to visitors, but also offer the ability for clients to specifically search for particular properties from their database. Our digital team set to work creating a website that carried with it the Edwards & Co colour palette throughout, making the site eye-catching and on brand. 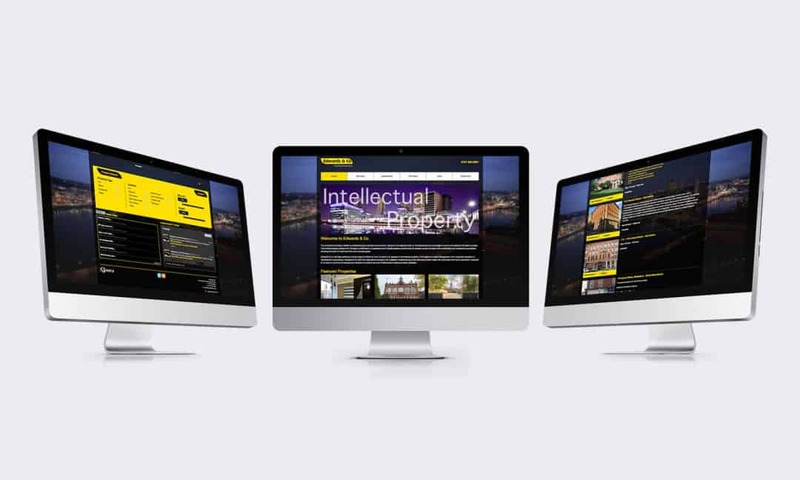 The homepage featured a property search tool which allows users to easily navigate through each property on offer, depending on their requirements. The website also included a dedicated team page and full social media integration, linking to their official Twitter feed. Edwards & Co has been advising a broad range of clients for over 20 years in all aspects of commercial property. From agency to asset management, from corporate valuation to development consultancy, Edwards & Co offer first class advice coupled with detailed understanding of the individual client’s needs.